I think it’s fair to say at this point that Christopher Nolan’s The Dark Knight was the best Hollywood blockbuster of the past summer. It’s also fair in my opinion to say that, along with Richard Donner’s original Superman, this film ranks highly among the finest superhero movies to date. Actually, calling The Dark Knight a superhero movie seems to cheapen it somehow. This is simply a great piece of filmmaking – sophisticated, intelligent and uncompromising. It grounds the boilerplate comic-book trappings in a context that seems more real and immediate than we’ve seen before on screen, even in Nolan’s previous Batman Begins. The Dark Knight delivers everything you’d hope for in terms of action, and then it delivers on a whole other level as well. Without spoiling anything, the plot can perhaps best be described as a psychological dissection of the nature of good and evil, and the perilously fine line that often separates the two. This film is truly dark – Batman for adults, as it should be. Every single piece of the chain holds tight: acting, production design, direction – all of it. I don’t want to say too much about Heath Ledger’s Joker, because you just really need to experience it yourself. But I will say I think the posthumous Oscar talk is well founded. His performance makes Nicholson’s Joker seem almost cartoonish by comparison... and I loved Nicholson’s take. But Ledger’s is a cinema villain for the ages, and he plays perfectly off of his ensemble co-stars (including Christian Bale as Batman, Gary Oldman as Gordon and Aaron Eckhart as D.A. Harvey Dent). 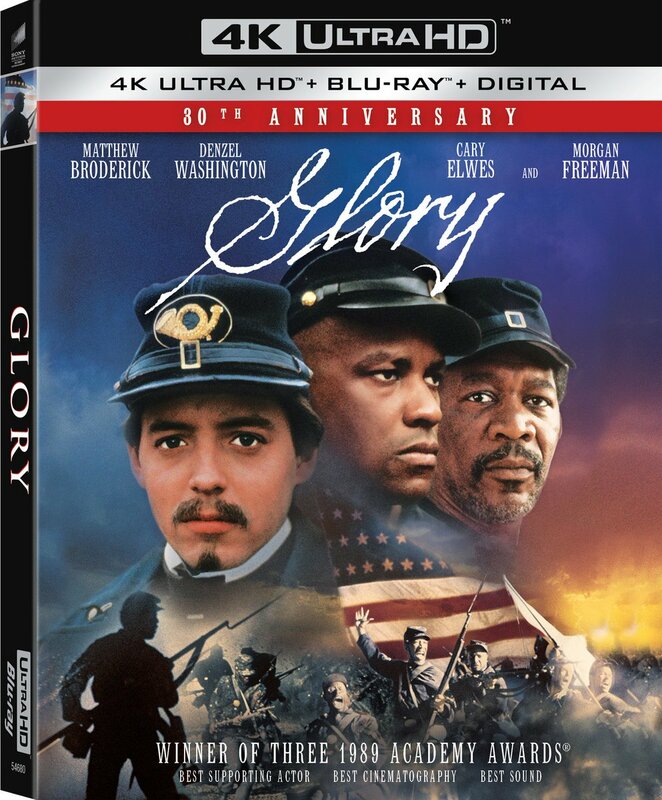 Warner’s Blu-ray Disc presents the film in full 1080p high-definition, in a variable aspect ratio format that recreates the original IMAX theatrical experience. Most of the film is seen in 2.40:1 widescreen, but for select shots and key action scenes, the aspect becomes screen-filling 1.78:1. This effect worked perfectly in IMAX theatres. More than once an audible gasp passed through the audience when the aspect changed in the IMAX screenings I attended, as the added visual ‘punch’ was startling and really enhanced the dramatic tension. It also works on Blu-ray, though it doesn’t have quite the same impact. (The effect is better the bigger your screen.) In terms of quality, the IMAX footage is near perfect looking, with outstanding clarity and detail, just as you’d expect. The regular scope footage is also very good looking, though it’s not of the same quality level as the IMAX footage. It’s also clear that a bit of DNR (and perhaps a little edge-enhancement as well) has been applied to help blend the different film formats, but this was likely done for the original IMAX presentation and is not exclusive to the Blu-ray. It’s not distracting, but it just keeps the overall video quality from reaching the level of the very best recent Blu-ray releases. Thankfully, the film’s muted colors are accurate, and the contrast is excellent - very important in a film of this type (and this film in particular). The disc’s Dolby TrueHD audio, on the other hand, is superb from start to finish, with breathtaking clarity, a big soundstage, smooth panning, and thunderous bass. The sonic experience is naturally immersive and very satisfying. When the Joker’s razor-wire, one-note theme fades into the mix, it’ll definitely jangle your last nerve. The Blu-ray is a 3-disc set. Disc One features the film itself, along with a Follow the White Rabbit-style viewing mode called Gotham Uncovered: Creation of a Scene. When you select this, icons will appear occasionally as you watch the film. Pressing ENTER when you see one will take you out of the film to view a 1.78, full-HD behind-the-scenes featurette, narrated by Nolan, related to that scene. They’re referred to on the disc as Focus Points, and there are 18 in all, comprising nearly an hour of material. You can view them individually (in the context of the film, or separately), or you can play them all as a group. There’s good stuff here. I particularly liked the piece on the film’s score. I’m surprised that these weren’t included as PiP clips, but I suspect they were too long for Warner’s usual In-Movie Experience format to work in this case. I should note that my Panasonic player got stuck transitioning from the Focus Points back to the film a couple times – hopefully fixable with a firmware update. Finally, Disc One also includes BD-Live access to future online content (TBA). Disc Two includes more bonus material, all of it in full HD. First, you get a pair of documentaries, each about 46 minutes in length. 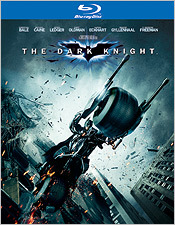 Batman Tech looks at the production design and implementation of the film’s various gadgets and tools, while Batman Unmasked examines the ‘psychology’ of the film and its characters. Also included are 6 episodes of the fictional Gotham Tonight news program (starring Anthony Michael Hall as the newscaster), some of which were seen in the film itself. Each runs from 6 to 10 minutes in length. You also get 4 image galleries (comprising Joker Cards, Concept Art, Poster Art and Production Stills), as well as 6 TV spots and 3 theatrical trailers for the film, again all in HD. This is certainly good material and it’s cool to have, but none of it feels particularly comprehensive, so I strongly suspect this film will be revisited in a more elaborate special edition at some point down the line. Rounding out the extras, Disc Three includes a Digital Copy version of the film, for those who appreciate such things. All three discs are packaged in a 3-disc BD case with a cardboard slipcover. (The art pictured above is the slipcover, while the actual case art features The Joker. The Dark Knight is like an origami made out of black construction paper, that keeps unfolding and revealing itself right to the very end. If it’s not quite a true masterpiece of cinema, it certainly deserves recognition as a fine big-screen crime/action drama. It’s also the new masterpiece of the superhero genre, raising the bar for everything that comes next. Warner’s Blu-ray version isn’t likely to be the ultimate edition of this film on disc, but it’s still good enough to deserve a place on the holiday wish lists of every serious movie fan. Definitely recommended.